Concerned at the cancerous effect asbestos has on human health, the Supreme Court (SC) has directed the Centre to consider setting up a body to regulate manufacture of the fiber-based material. Refraining from treading the path of legislature, which is already seized of a bill seeking ban on asbestos, the court said the regulatory body must be considerate to the health of workmen involved in mining or manufacturing asbestos. Acting under Environment (Protection) Act, 1986, the authorities should ensure all “appropriate and protective steps to meet specified standards are taken by the industry before or at the time of issuance of environmental clearance”. A bench headed by Chief Justice SH Kapadia has refused to ban asbestos, but it feels that it’s imperative to issue the directions in order to “strike a balance between health hazards posed by this activity and the ground reality that a large number of families all over the country are dependent for livelihood on it”. 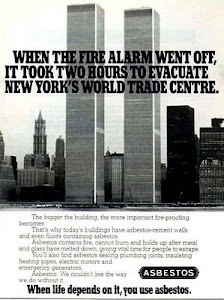 White asbestos is highly carcinogenic. Countries, mainly Canada and Russia, which export it to India without restriction prefer not to use it domestically. In 2007, Canada exported almost 90% of white asbestos it mined, 43% of it to India. 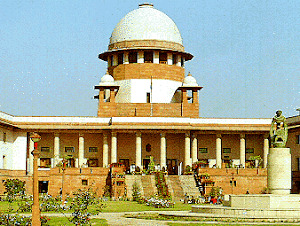 Note: The bench comprising Chief Justice of India SH Kapadia, Justice Panicker Radhakrishnan and Justice Swatanter Kumar has further directed “we direct that if Union of India considers it proper and in public interest, after consulting the States where there are large number of asbestos industries in existence, it should constitute a regulatory body to exercise proper control and supervision over manufacturing of asbestos activities while ensuring due regard to the aspect of health care of the workmen involved in such activity. It may even constitute a Committee of such experts as it may deem appropriate to effectively prevent and control its hazardous effects on the health of the workmen”. New Delhi/Patna 23/1/2011: Ban Asbestos Network of India (BANI) condemns the lathi charge and police firing on villagers of Chainpur-Bishunpur, Marwan, Muzaffarpur, Bihar who are protesting against the construction of proposed asbestos plants. The colossal ignorance of Bihar government about the fact that more than 55 countries have banned asbestos of all kinds including chrystotile (white) asbestos is shocking. BANI supports the Asbestos Virodhi Nagrik Manch and Khet Bachao Jeewan Bachao Jan Sangharsh Committee and their efforts to save present and future generations from the exposures of killer fibers of white asbestos. BANI appeals to the Chief Minister and the Union Environment Minister, the concerned organizations and political parties to visit those villagers including women who have been injured in police firing to take stock of the situation in order to prevent the peaceful movement against asbestos plant from becoming violent. Bihar government must assure the villagers and their committee that no police action will be allowed in future and those policemen responsible for such violence will be punished. It is learnt that some 20 people have suffered due to lathi charge and police firing and they are admitted in the hospitals. The injured include Sheela Devi, Rajo Devi, Sidheshwar Ram, Ganga Ram, Hare Krishna, Manoj Paswan, Suhati Devi, Kalash Devi, Saroj Kumar and several others. The Chief Minister must intervene at the earliest to avoid such blood soaked industrialization and promote sustainable agro-based industries. The cases against the leaders of Khet Bachao Jeewan Bachao Jan Sangharsh Committee who have been framed must be withdrawn. Encouraging hazardous industries like asbestos based plants which is one of 64 heavily polluting industries under Red Category is quite myopic. BANI calls on the Bihar Industries Association (BIA) and Bihar Chamber of Commerce (BCC) to persuade the proponents of the asbestos plants to establish plants which would could act as alternatives of the killer fibers as is being done in over 55 countries. Instead of educating itself about the incurable diseases caused by the killer fibers of asbestos and the impossibility any technology in the world to save villagers and its workers, it is quite absurd for the Bihar Government to construction with the help of Police force akin to what seemed to have been attempted in Singur, West Bengal. Bihar government should re-visit the Biology and Chemistry text books of Class Xth and Intermediate taught in its schools all over the state. These textbooks reveal that asbestos causes incurable diseases like asbestosis, lung cancer and mesothelioma. The Class XIIth textbook titled Inter Rasayan at page no. 2-345 categorically says, “Asbestos is a particulate pollutant of the atmosphere. In the process of preparation of asbestos sheet, the asbestos particles become airborne. If one breathes such air for a long period it causes asbestosis disease”. Unmindful of this some 12 asbestos based plants are proposed in Bihar. It is also apprehended that some cement plants have hidden the fact that their factories are asbestos based cement plants. Residents of Bhojpur, Bettiah, Vaishali, Madhubani, West Champaran, Muzaffarpur and other places in Bihar where Chrysotile (white asbestos) based plants are faced with the disastrous consequences of various types of cancers, including lung cancer and mesothelioma. 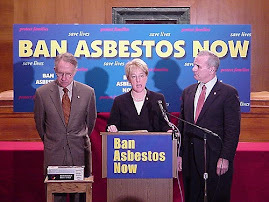 Epidemiological and toxicological studies and laboratory experiments have demonstrate this and established it the impossibility of safe and controlled use of white asbestos myth about which are being propagated by the government having been misled by the industry. Will the Chief Minister Nitish Kumar, Deputy Chief Minister Sushil Kumar Modi, Environment Minister, Jairam Ramesh, Commerce Minister, Anand Sharma and Prime Minister, Manmohan Singh see the writing on the wall and act to take steps to make our country asbestos free and not succumb to pressure from asbestos companies? The writing is attached. Hit by international and domestic reports that asbestos can pose huge public health risk, the Environment ministry has sought an explanation from the Bihar government for allowing such plants in poverty-hit Muzaffarnagar district in north part of the state. Bihar government has given permission for setting up as many as 12 plants for manufacturing asbestos laden cement roofing sheets, whose demand has increase phenomenally in Bihar in recent years. The plants based on Chrysotile - the chemical name for white asbestos, which accounts for more than 95% of the present world trade in asbestos -- has resulted in stiff resistance from locals because of its possible health impact. While the locals have been petitioning environment minister Jairam Ramesh since May 2010, he has apparently acted on view of health experts who said that white asbestos in any form could be carcinogenic and as many as 54 countries have banned the asbestos among Indian states, Kerala has banned use of asbestos in school buildings. But, Bihar allowed the plants as part of its industry-friendly policy to attract investments. Ramesh on Tuesday confirmed that explanation has been sought but refused to divulge the details. "Asbestos is a highly hazardous material to human health and both - occupational as well as non-occupational exposures -- are associated with mesothelioma and other malignancies among humans," said Sanjay Chaturvedi, head of Department of Community Medicine, Faculty of Medical Science in the Delhi University. 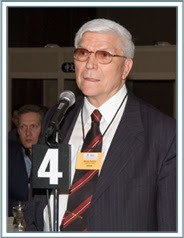 He was one of the experts whose opinion was a reaction for ministry's action. The minister had also examined a recent study by Lancet report, which quoted a World Health Organisation report to say that 125 million people around the world are exposed to asbestos risk. In the past, Ramesh has banned asbestos laden US ship to come to Alang but the government has failed to declare a national policy on asbestos in absence of a comprehensive scientific study on its impact. The Ahmedabad based National Institute of Occupational Health (NIOH) has been asked to conduct a study on environment and health impacts of asbestos in the work zone and assess its impact on workers and those living in the vicinity. The institute is yet to submit its report even though officially the ministry has described asbestos as "safe". Mining asbestos in India is banned but its use in manufacturing sector is allowed. 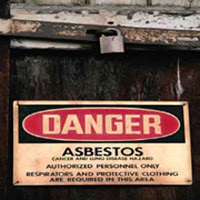 Most of raw asbestos is imported from Russia and Canada.